Livermore Limousine Service company is committed to developing and maintaining one on one relationships with our customers, providing them with the most affordable, safe and comfortable customized Livermore Limo Service possible. Our professional chauffeurs are expericenced and always formally dressed. Our vehicles are clean, well maintained, safe and fully licensed and insured, as required by law. 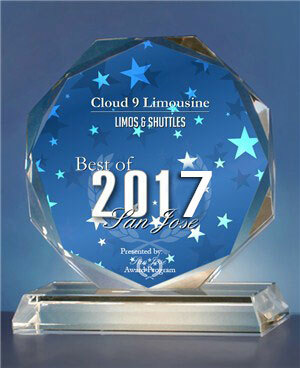 Because we were founded on the belief that chauffeured transportation is more than just transporting passengers, Livermore Limo Rentals continuously focus on the goals of our clients and delivering a unique mixture of service and value to consistently exceed their highest expectations. We take pride in serving the Livermore area with first class Livermore Limo Services. Our chauffeurs at our Livermore Limo Rentals are highly skilled professionals who offer exceptional service and personal attention. Livermore Limousine Transportation is dedicated to going the extra mile to make your day memorable, your event first class and your limousine ride relaxing and smooth. Livermore Limousines is the reliable transportation Limo company you can always rely on for your airport service, stretch limousine service, SUV Limousine and town car sedan service. We offer hourly service, airport service, wedding transfer, prom service and any transportation needs for individual or corporate service. When you are looking for Livermore limo service, car service, Bay Area airport transportation, or any luxury transportation service for a discount, please call on our team members and fleet. Livermore Limousine Rentals want the opportunity to earn your business by demonstrating our dedication to professionalism in everything we do. Our approach is unique with a focus on accuracy, promptness, and a high level of customer service. Our Livermore Limousine Transportation guarantees a ultimate level of discretion, and reliability. Our success is based on establishing friendly client relationships, understanding their specific requirements and meeting their needs consistently. Livermore Limo Service is known for its first class service and dedication to its clients. Our customers come first, when our customers are happy, we are happy. Livermore Limos has been a premiere ground transportation service in Livermore and surrounding areas for many years. Customers satisfaction at it’s best. Livermore Limousines provides only the best when it comes to your Livermore luxury transportation needs. We will take you to your destination on time and in style without hassle. 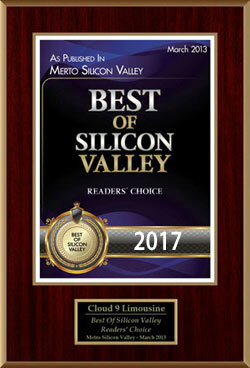 Your decision to choose Livermore Limos for your Bay Area transportation needs is the best decision. Our prices are affordable and we are proud to offer you limousine rentals for any occasion. Customer service and safety is the highest priority of each and every employee in our company, to guarantee complete satisfaction from the moment you make your reservation to the moment you arrive at your final destination. Dependable, prompt and committed to customer satisfaction, let Livermore Limousine Service help convert your evening into a memorable occasion. Imagine sinking into the plush comfort of a luxury interior of a stretch limousine. Choose Livermore Limousine Services to provide the vehicle when you want an enjoyable Night on the Town limousine, when you commemorate your wedding anniversary limo, if you are celebrating your wedding day, a birthday, a graduation or bringing a new member of the family home for the first time. Livermore Limousines features the largest selection of limousines in the Bay area at competitive rates. From Stretch Lincoln Town Car limousines to the largest SUV and Hummer Limousines, we can offer you what you need at a price you can afford. At Livermore Limousine Service, and as a Bay Area Limousine Rental Service Company, we pride ourselves on our customer service and satisfaction. You can rest assured that our Livermore Limousine company will take care of all your transportation needs. Let one of our professional and courteous chauffeurs make your night one you will never forget. We will drop you off at the door and have your car waiting for you when you are ready to leave. We offer safe, dependable transportation. As we embark on many years of service we remain loyal to providing prompt service in clean, late model vehicles utilizing experienced and reliable Livermore Limousine chauffeurs. Whatever your needs, Livermore Limousine will accommodate you with the utmost courtesy and satisfaction, 24 hours a day, 7 days a week. Thanks to you, we continue our goal of providing safe, affordable, and reliable transportation to and from airports or any special occasion with prompt and courteous chauffeurs. For all your special occasions and events Livermore Limo offers Luxury Limousine and Charter Services. Offering reliable, comfortable, and luxurious vehicles, and the excellent customer service you expect from a first class limousine service, Livermore Limousines characterizes ourselves with our commitment to your individual and executive needs. Our professionally trained drivers work to provide you with the very best Livermore chauffeured limousine service. We can help you make every occasion a special one! We will provide you and your guests with prompt, courteous transportation for any trip such as sporting events, concerts, casino, medical transportation, proms, weddings, airport transfers, dinners, night-on-the-town, birthday parties and much, much more.